The internet is a magical place where people from all over the world can connect with each other, unfettered from geographical limitations. It’s where families who live on different continents can stay in touch, strangers in faraway cities can fall in love, and Jim Carrey and Italian fascist dictator Benito Mussolini’s granddaughter can get into a feud. 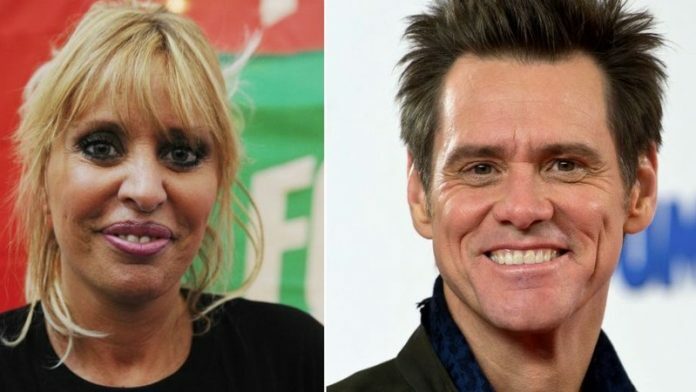 The comedian-turned-political cartoonist (best known for films such as Dumb and Dumber, The Mask, Ace Ventura: Pet Detective and Ace Ventura: When Nature Calls) first angered Alessandra Mussolini (best known for being Benito Mussolini’s granddaughter) when he posted one of his drawings on Saturday. It depicted her grandfather and his mistress, Claretta Petacci, strung up by their feet after they were executed by firing squad in 1945. “If you’re wondering what fascism leads to, just ask Benito Mussolini and his mistress Claretta,” Carrey wrote. Alessandra then spent the rest of the day having a full-on Twitter meltdown, chiding Carrey for not drawing various historical American atrocities, and responding to critics.